The latest signs suggest that UK economy activity is slowing further, with the month on month decline of 0.4% particularly concerning. This is the largest drop since the month on month figures were first released last July, and while it is obviously volatile and short term in nature, it does represent a potential warning sign. The more widely viewed quarterly figures showed a paltry increase of 0.2% and while it would be a little presumptuous to conclude that we are heading for an imminent recession, the pace of growth is clearly slowing and the economy far from firing on all cylinders. 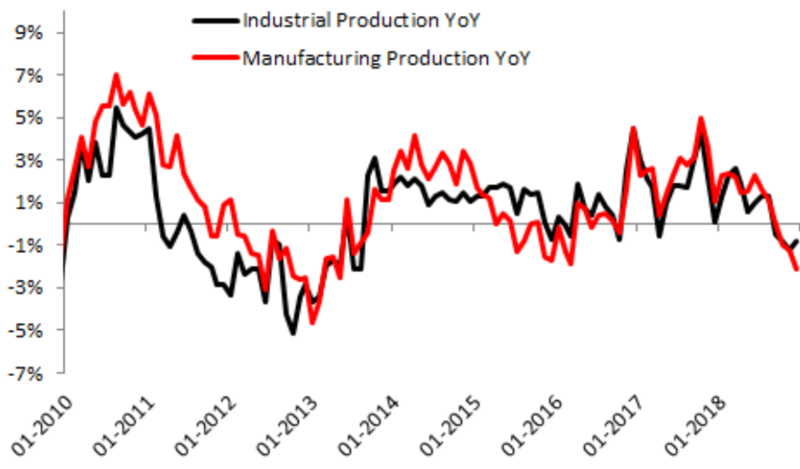 In addition to the growth figures there was also manufacturing and industrial production numbers which both unexpectedly declined in another sign of a slowing economy. 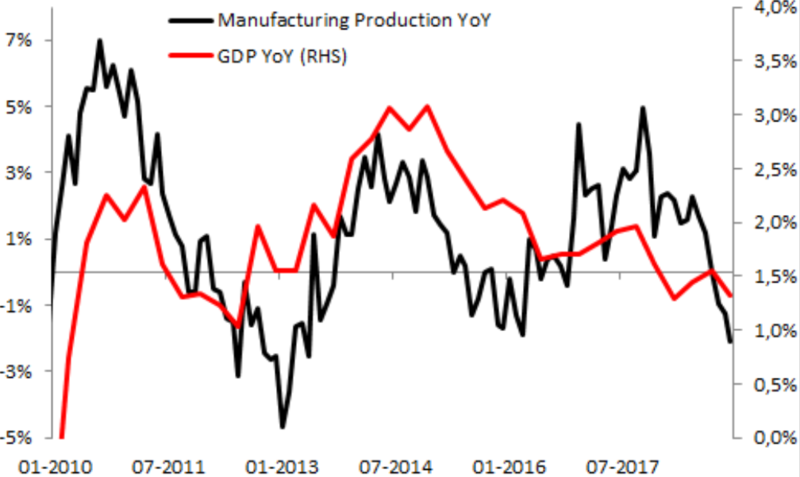 There’s a pretty good relationship between manufacturing production and UK GDP, and the declines in the former could prove ominous for the latter. Brexit uncertainty is certainly not helping matters on the economic front, but it is probably only a secondary factor in this slowdown, with the primary cause being a drop in overall global activity. The Eurozone in particular has been especially weak on the data front of late, and the focus now is very much on whether there can be a tangible breakthrough on the trade front between the US and China, with Beijing back after their New Year’s holiday.